This recipe has been perfected by my husband after we made a trip to Stowe, Vermont and is the talk of the party when he makes them! I’ve engineered it a little for the modern day mama and now it is genius because you can serve them in a lime and the best part ~ You only get one glass dirty! If you like salt on your margarita pour the salt onto a paper plate and rim the limes by placing them upside down into the salt. 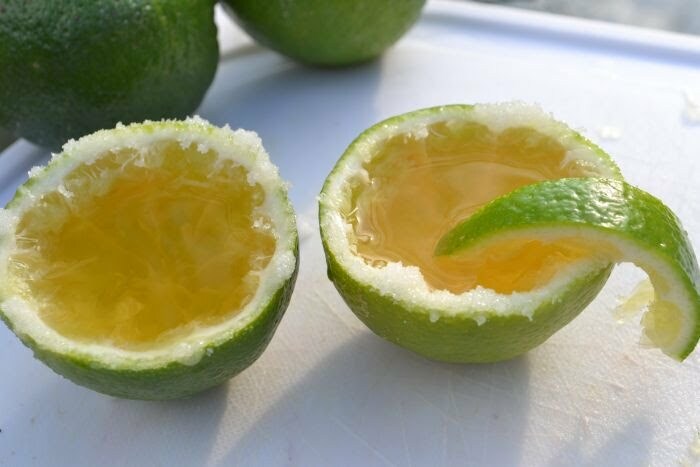 Pour your margarita into each lime half and serve! Be careful as this is a highly toxic recipe and has been known to knock even the best drinkers down after a few shots!